If your browser says this page is "Not Secure" click this link to go to the secure version (https). Detector Board for the QuadLN_S added here. Our first 3D printed part is ready. We have redesigned the Micro Switch Machine w/ Snap Switch to use a 3D printed servo mount. New! 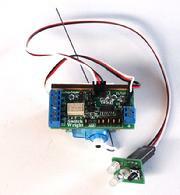 - Turtle stall motor driver and DCC decoder. Now you can use TVD Fascia Controllers to run your Tortoises, MP1s, MP5s, and SwitchMasters. On this page. Need help deciding on which product you need? See the Which servo driver and Which frog juicer decision tables. 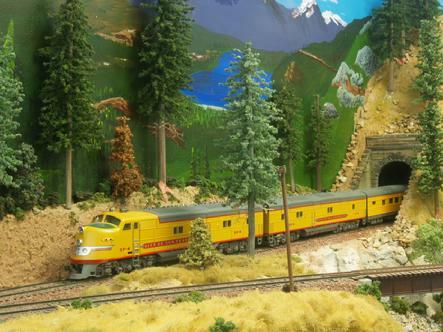 Tam Valley Depot was established in 2008 by Duncan McRee who has been building model railroads since he was 14. Duncan decided to share the boards and controllers he originally designed for his own use. All boards are hand-built in San Diego, CA by Frank, Jack and Kevin with you, the model railroader, in mind. We appreciate your support. Subscribe to the Tam Valley Depot Newletter to hear about new products, sales and tips. The Bertie Award arrives in Sausalito on its way to Tam Valley Depot. 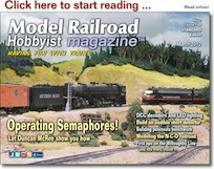 Tam Valley Depot Dual 3-way is featured in the cover article of the March 2012 Model-Railroad Hobbyist E-zine! Download the issue by clicking on the image. Tam Valley Depot is featured on the July 2009 cover article of Model-Railroad Hobbyist E-zine! Download the article by clicking on the image. Tam Valley Depot is a Division of the Tamalpais Valley Railroad. Lots more information on servos and electronics for model railroads can be found at the TVRR website. Click image to visit.